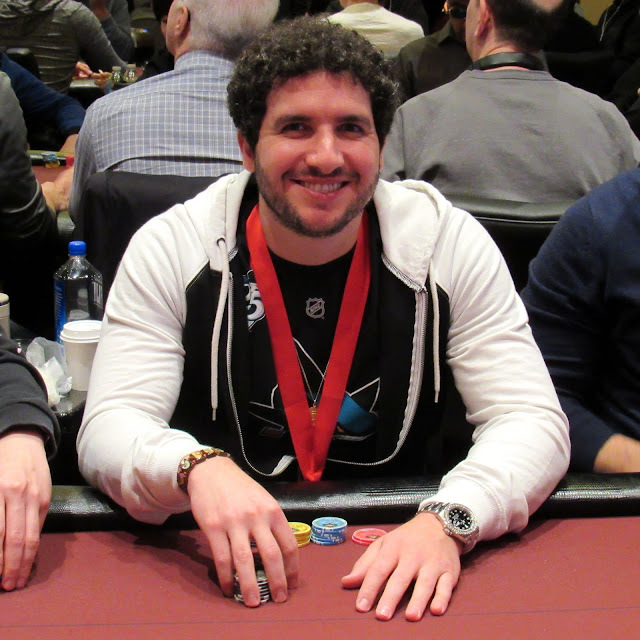 A short-stack moves all in, action folding around to Shooting Star Eddy Sabat in the BB and he makes the call. Sabat shows King-Queen and is looking for the elimination against his challenger's Ace-Deuce. The K-9-K flop has the challenger push away from the table as the board runs out 6-A.